Last week I was invited along to Coast to Coast’s VIP evening. 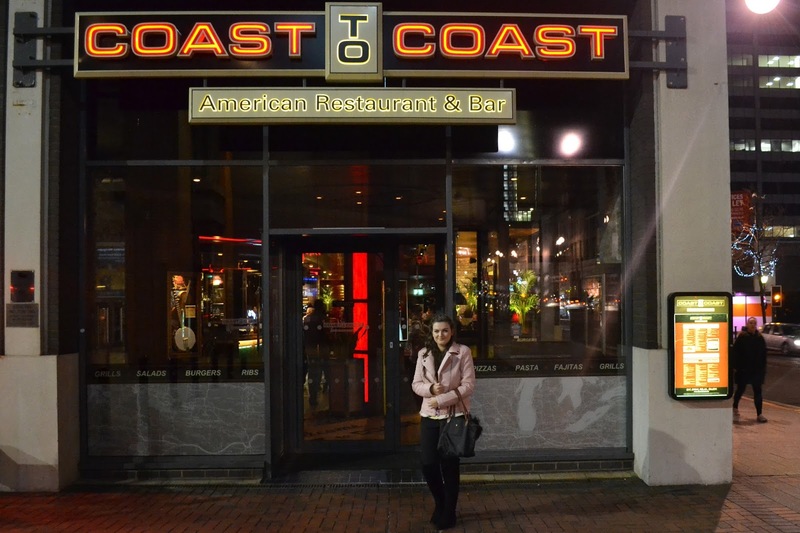 Coast to Coast on Broad Street offers a selection of american dishes such as burgers, steaks, pizza, pasta and more. I have literally no idea why I have never been to this restaurant before as it sounds like my ideal place. On arrival we were greeted at the door and took to our seats immediately. Our server was a guy named Scott who was from the Leicester brand, he was amazing all night and so helpful! The restaurant reminded me of like Hard Rock Cafe, there was great music playing and they also televised sports games. To start off we ordered drinks, I got super delicious mocktail called the New Yorker which was an Apple and Lime juice and Alex got a beer. As a starter, we got cheddar cheese and bacon loaded skins which I have been obsessed with recently, they were amazing but I wish there was a couple more as we were sharing. As we were in an American restaurant we had to get burgers, there was so many choices and they all sounded incredible. I chose a Chicken and Cheese Burger which I cheekily asked to have bacon on it too! Alex ordered the Buffalo Blue burger which he dubbed as ‘one of the best meals he’s had in Birmingham’. Alex is into quite hot food and this burger came with hot sauce and also a hot tomato sauce on the side. The food was really good and huge portions – I really struggled. As much as their amazing dessert menu looked appealing, I was completely stuffed! Alex and I decided to order more drinks instead, we got a Tequila Sunrise and a coca cola ice cream float! We ended up sharing them between us, they were both delicious. 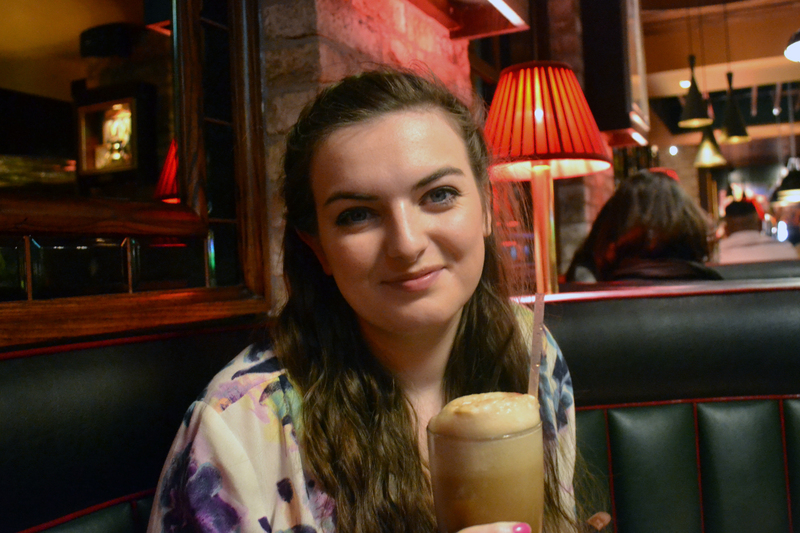 I do love it when you can get Ice Cream floats as it’s something different! The photo below was right before it foamed up and went everywhere! Thanks to Coast to Coast for inviting us, I will defiantly be back! If you are looking for some other delicious restaurant reviews, check out my Food Directory. This looks wonderful. I never been there.